Venture out of the city with trips to Werribee Open Range Zoo (in Werribee) and The Great Ocean Road (in Torquay). Dedicate the 8th (Sun) to wine at some of the top wineries in the area. The adventure continues: take in nature's colorful creations at Royal Botanic Gardens, enjoy unforgettable views with a balloon tour, explore the world behind art at National Gallery of Victoria, and get lost in a book at State Library of Victoria. To find photos, more things to do, other places to visit, and more tourist information, read our Melbourne journey builder website . Bournemouth, UK to Melbourne is an approximately 27-hour combination of train and flight. You can also do a combination of train, flight, and shuttle; or do a combination of train and flight. You'll lose 10 hours traveling from Bournemouth to Melbourne due to the time zone difference. When traveling from Bournemouth in December, plan for much hotter days and somewhat warmer nights in Melbourne: temperatures range from 30°C by day to 14°C at night. Finish up your sightseeing early on the 12th (Thu) so you can travel to Sydney. You'll find plenty of places to visit near Sydney: Bilpin Cider Company (in Bilpin), Katoomba (Wentworth Falls & The Three Sisters) and Lincoln's Rock (in Blue Mountains National Park). 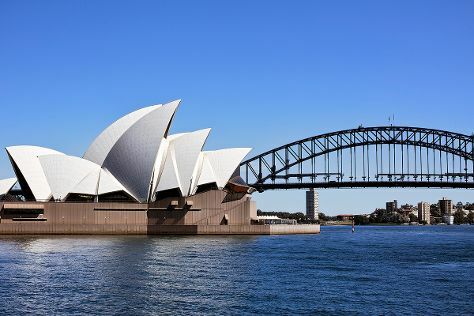 There's still lots to do: take in nature's colorful creations at Royal Botanic Garden Sydney, meet the residents at Sea Life Sydney Aquarium, tour the pleasant surroundings at Manly Beach, and trek along The Opera House to the Botanic Gardens Walk. For reviews, photos, ratings, and tourist information, use the Sydney travel planner . Fly from Melbourne to Sydney in 3.5 hours. Alternatively, you can do a combination of shuttle and flight; or drive. Plan for a bit warmer nights when traveling from Melbourne in December since evenings lows in Sydney dip to 21°C. Wrap up your sightseeing on the 22nd (Sun) early enough to travel to Brisbane. Get out of town with these interesting Brisbane side-trips: Sea World Theme Park (in Main Beach), Warner Bros. Movie World (in Oxenford) and SunJet Simulations (in Mooloolaba). Next up on the itinerary: stroll around South Bank Parklands, get outside with Watersports Guru, look for all kinds of wild species at Lone Pine Koala Sanctuary, and enjoy the sand and surf at Moffat Beach. 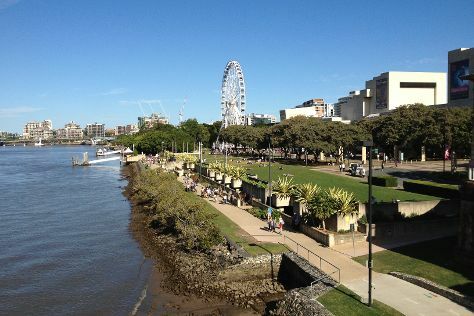 To see more things to do, photos, and other tourist information, read Brisbane holiday maker . Getting from Sydney to Brisbane by flight takes about 4 hours. Other options: do a combination of flight and bus; or drive. In December, plan for daily highs up to 32°C, and evening lows to 23°C. Cap off your sightseeing on the 29th (Sun) early enough to travel to Cairns. Change things up with these side-trips from Cairns: Palm Cove (Spas, Hartley's Crocodile Adventures, & more), Port Douglas (Safaris, Wildlife Habitat Port Douglas, & more) and Ross and Locke Park (in Little Mulgrave). Spend the 30th (Mon) among aquatic life with a scuba or snorkeling tour. Spend the 2nd (Thu) wandering through the wild on a nature and wildlife tour. There's much more to do: hike along Esplanade Boardwalk, enjoy some diversion at Muddy's Playground, take in nature's colorful creations at Botanical Gardens, and make a splash at Sugarworld Waterpark. To see maps and tourist information, refer to the Cairns tour itinerary planner . Fly from Brisbane to Cairns in 5.5 hours. Alternatively, you can do a combination of bus and flight; or drive. While traveling from Brisbane, expect a bit warmer days and about the same nights in Cairns, ranging from highs of 36°C to lows of 26°C. On the 9th (Thu), you'll have the morning to explore before heading back home.